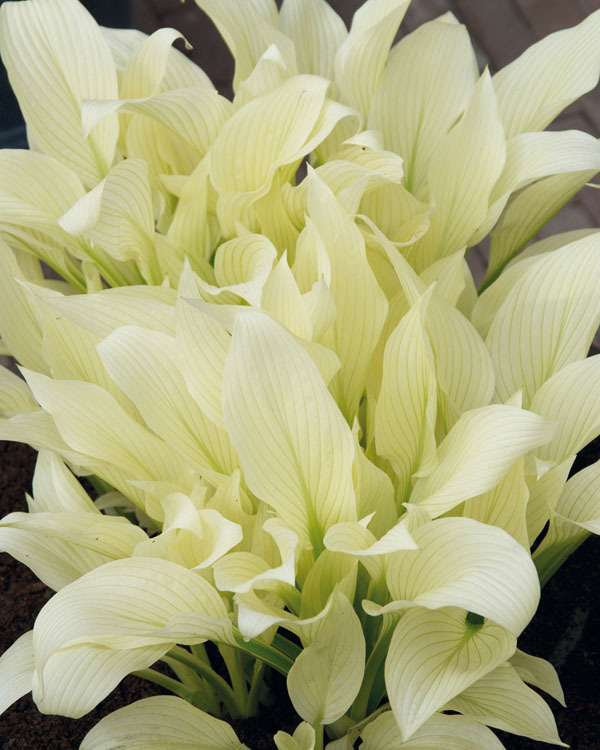 NEW White feather is creating quite a buzz among Hosta enthusiasts and gardeners in general, Its leaves emerge white and only as the season progresses do they begin to develop central green streaks and eventally muted green overall. Sure to add an icy cool streak to your shade beds, a nice respite from hot summer sun. One No 1 plant/pkg.